Today, Easter Sunday lunch. Tonight, Jewish dinner! 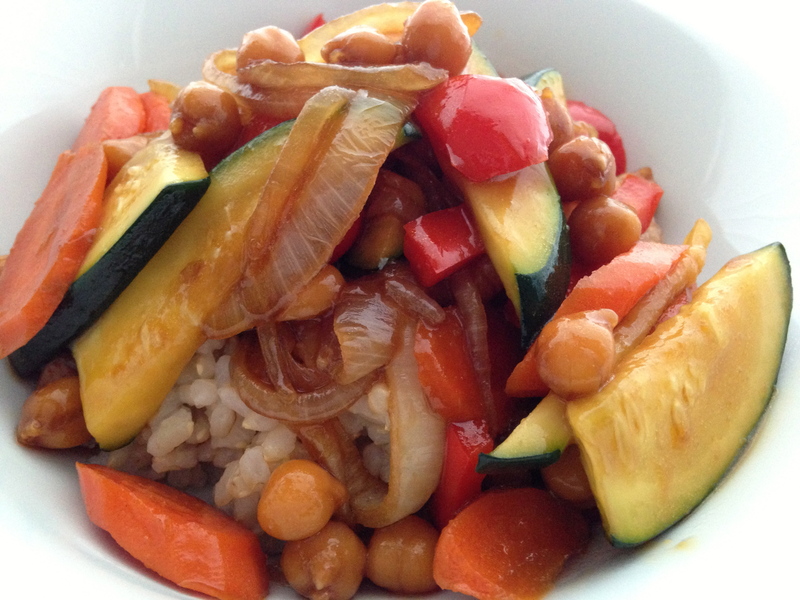 I use my marinade from my tamari black rice and quinoa to marinate the chickpeas for this stir-fry. 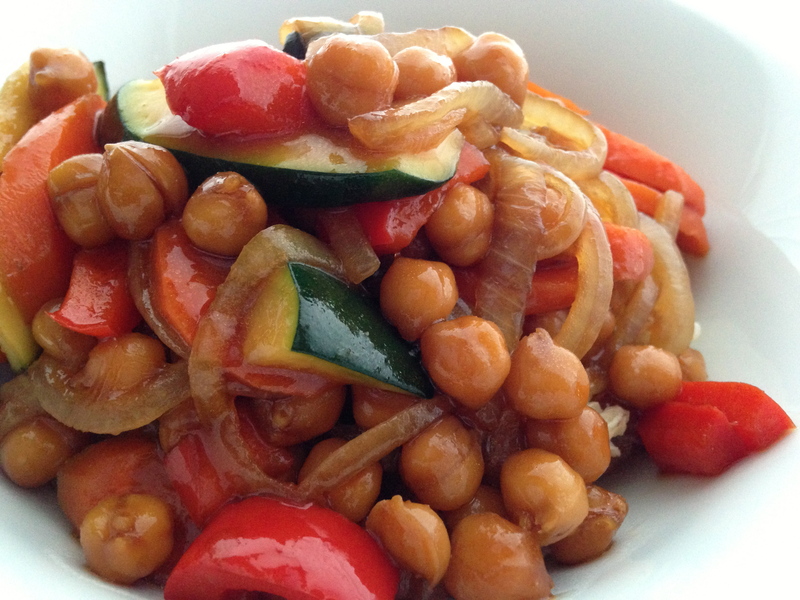 Skeptical about Chinese sauce on chickpeas? Try it…you will be very pleasantly surprised. Throw in any vegetables that you like (if had broccoli in the house it would have been in there) and serve over rice. Whisk the marinade together and pour over chickpeas. Marinate for about 30 minutes. You will see the chickpeas absorb some of the marinade and get darker in color. Heat the sesame oil in a pan with sides. Slice the onion into semi-circles and sauté until translucent. Cut the carrots on the bias and add to the pan. Cook for a few minutes. Chop up the red peppers in a big dice and add to the pan. Cut the zucchini in half and then on the bias. Add to the pan and cook for a minute, so as not to overdo them. Pour the chickpeas into the pan with the marinade. and stir around to coat. Cook until the sauce thickens and the chickpeas are heated through, about 2 minutes. Serve in bowls over rice. Enjoy!